B = The most frequently ordered, this is done digitally and builds a picture of the person to make it more personal. 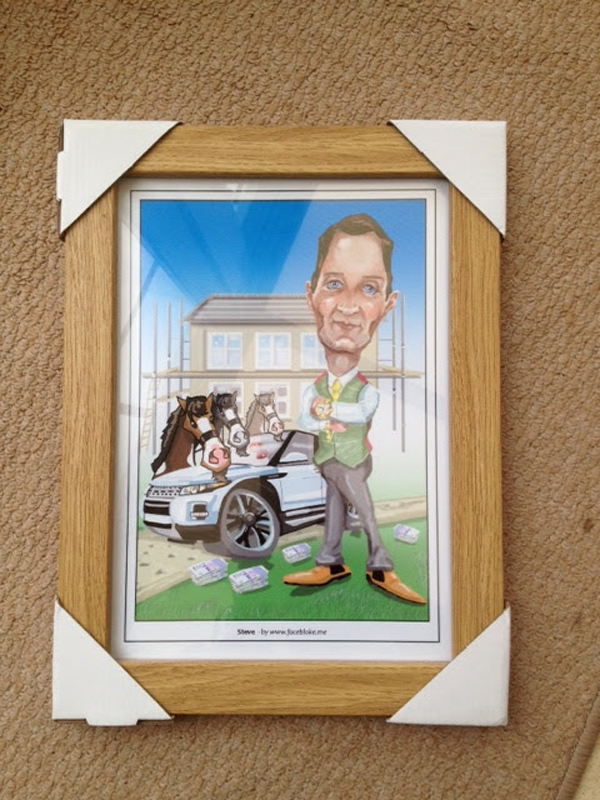 D = Traditional Paper Caricature (as I would draw live) Full Colour Head and Shoulders. 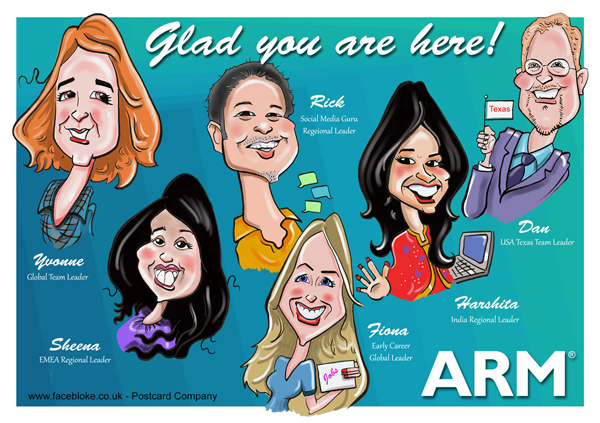 Send me your good and recent photos with any additional notes - allow a week or more. 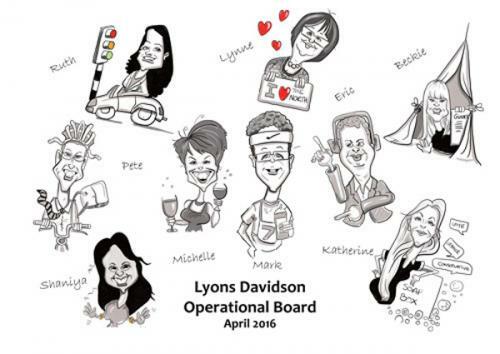 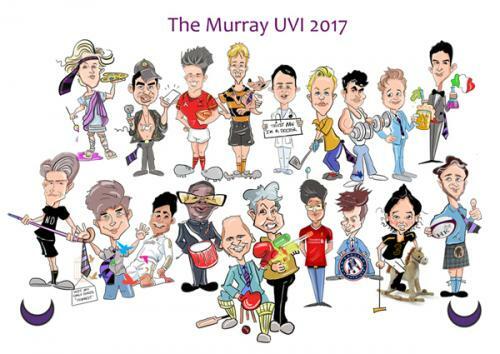 I will produce the caricature and email you back with low resolution version for you to view (it will have copyright all over it). 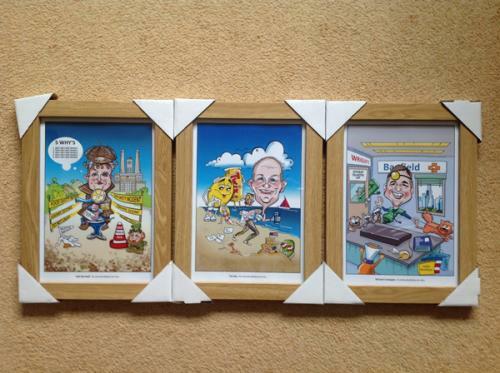 Once signed off, I will print / email / post or frame the final version for you. 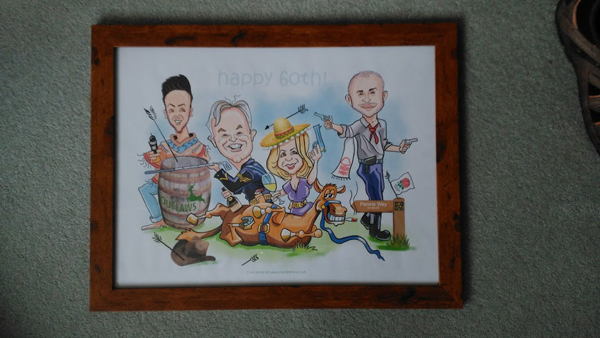 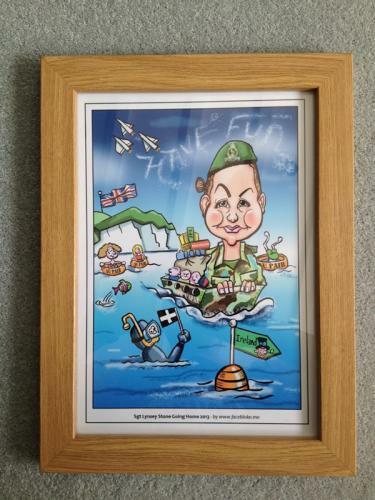 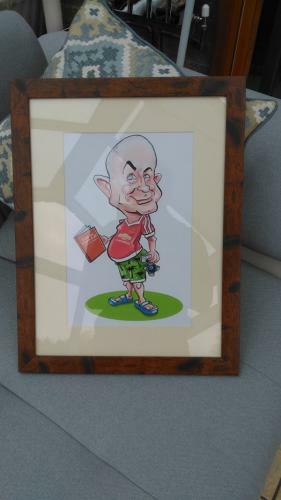 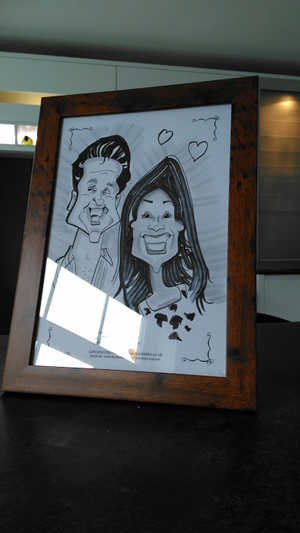 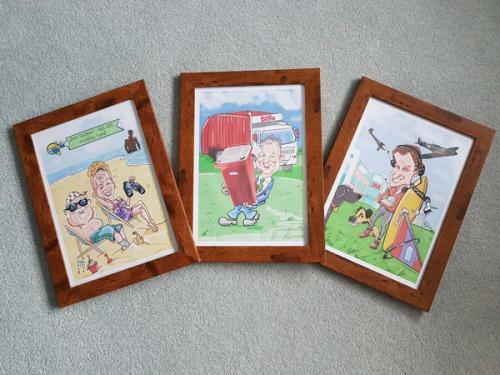 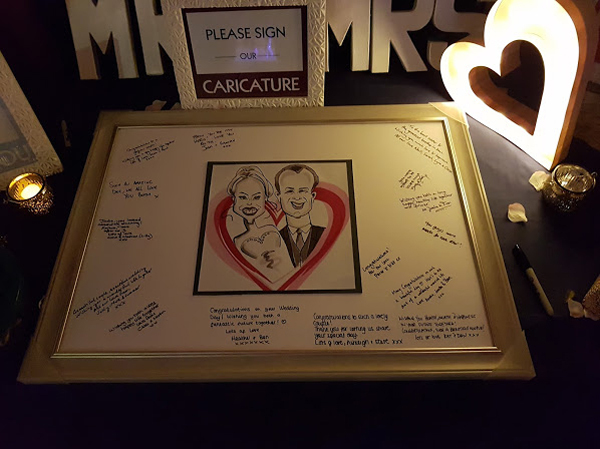 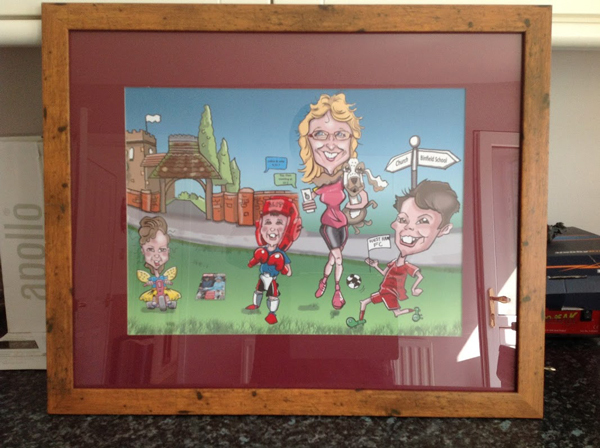 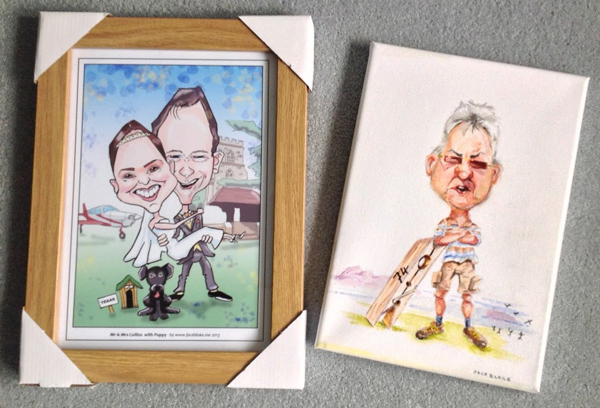 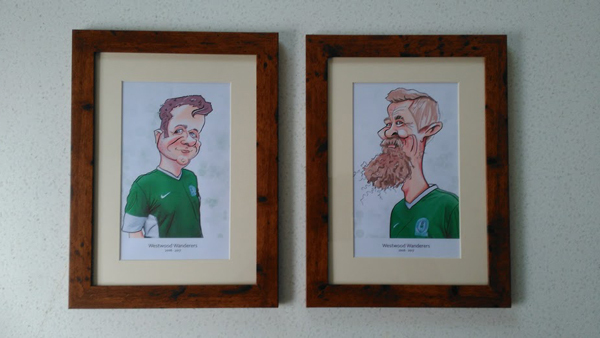 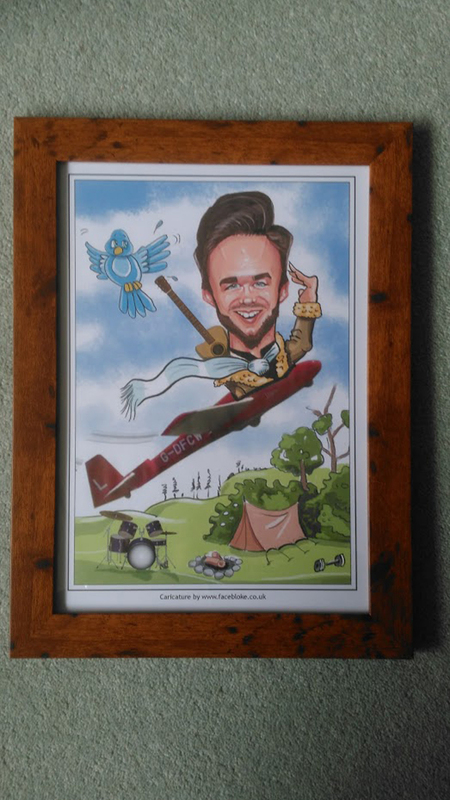 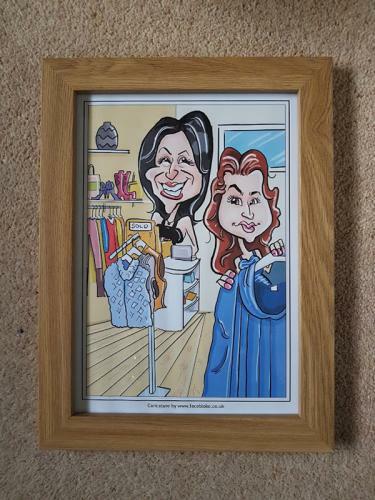 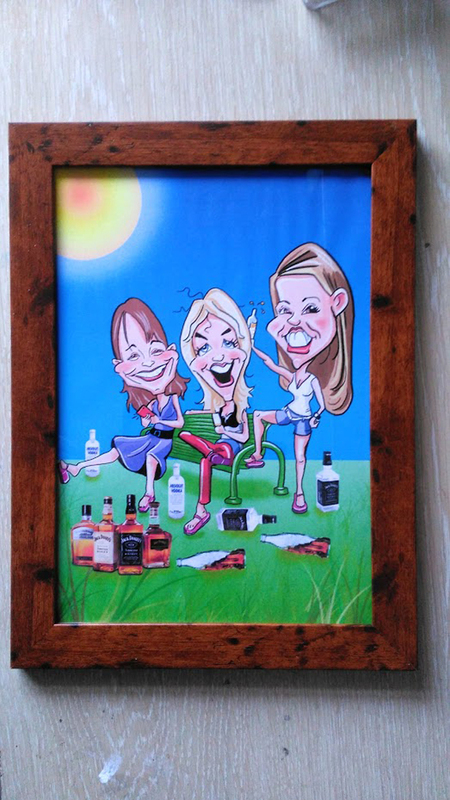 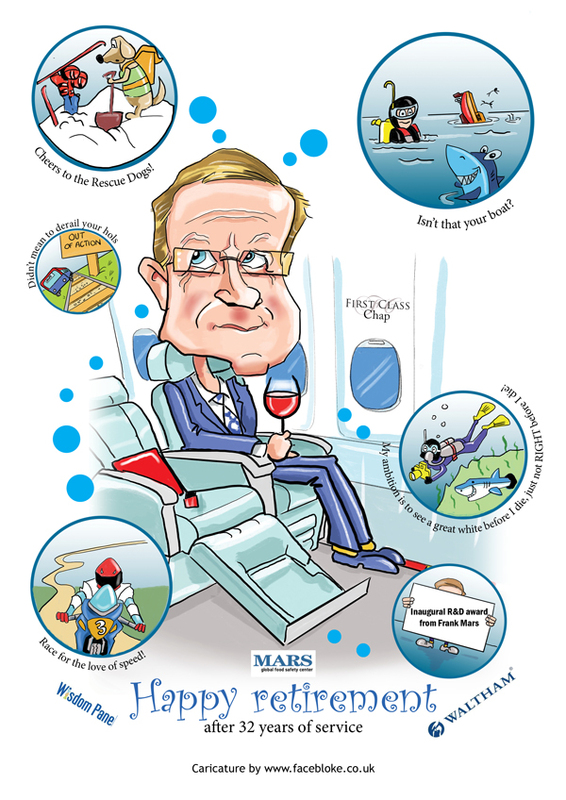 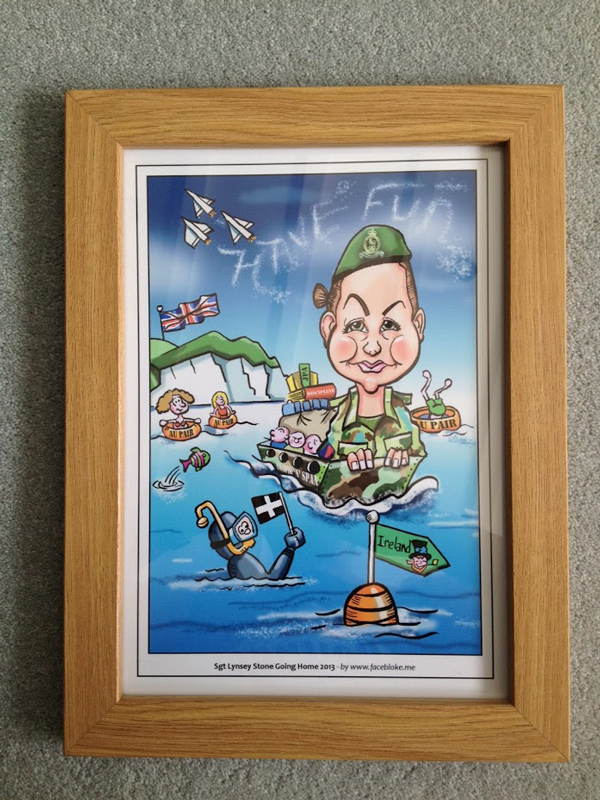 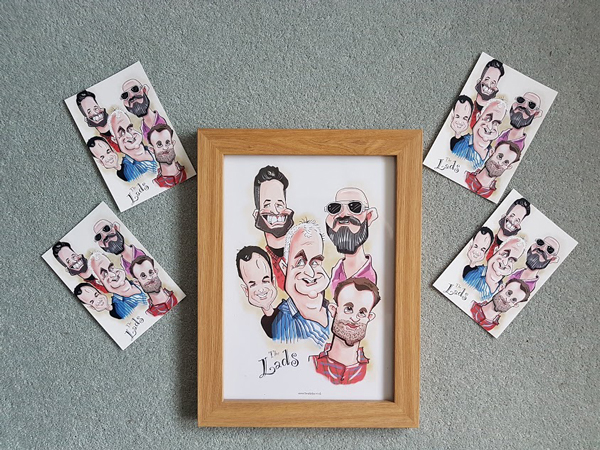 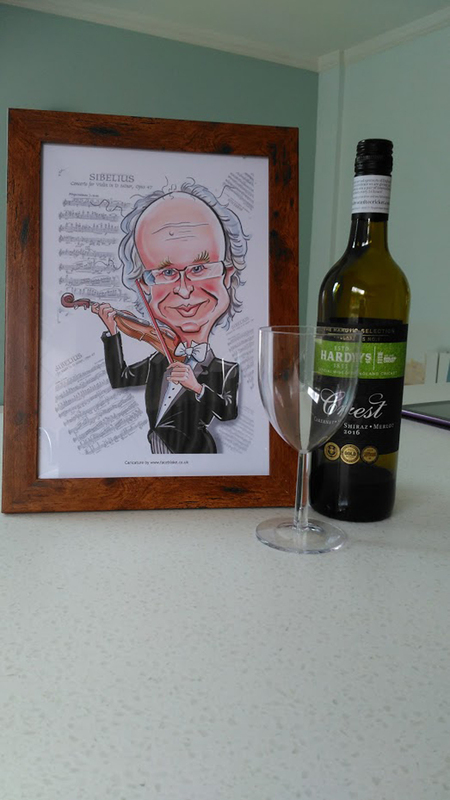 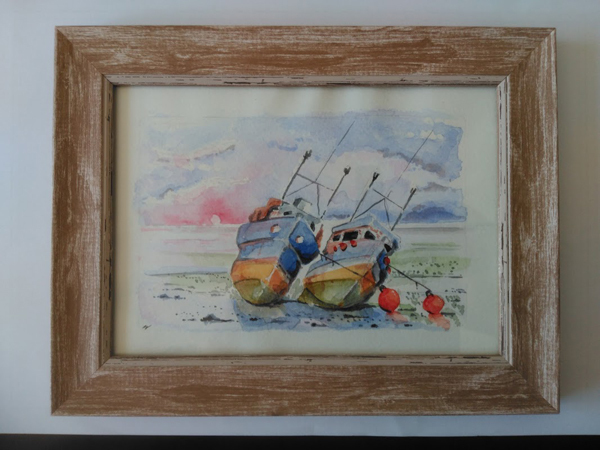 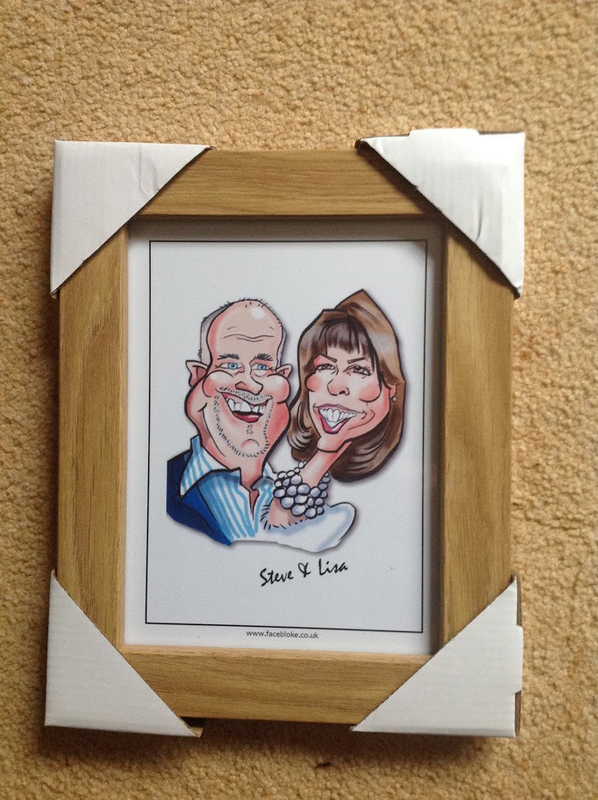 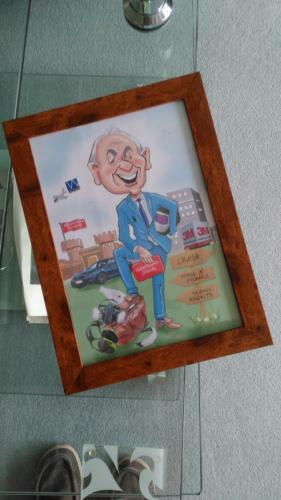 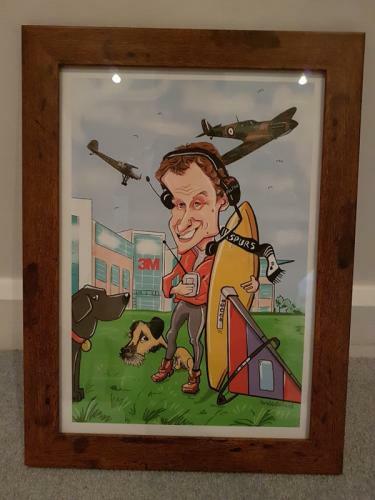 Please note I don't post framed pictures due to the potential of broken frames, but I can post the caricature for you to frame. 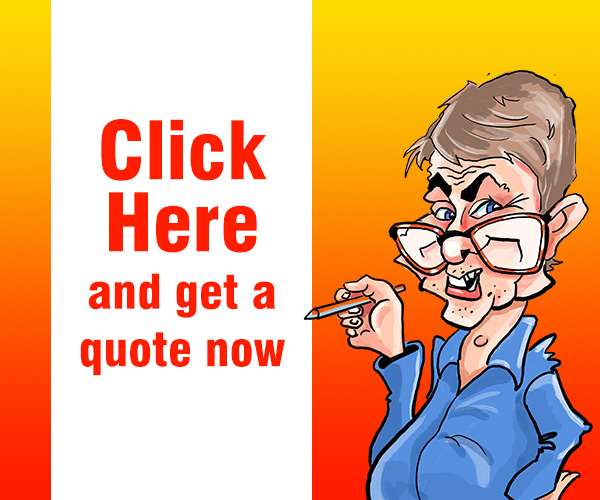 I can accept payment from credit cards, Paypal or direct transfer.